In our case it was the end: we had walked downstream from Plynlimon to here, beside Chepstow Castle. 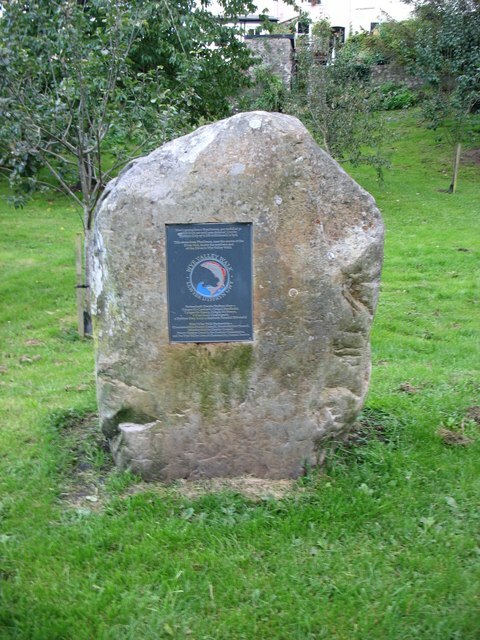 The stone on which this plaque is mounted comes from Plynlimon. The final leg (and some earlier ones) included some steep climbs up to about 225m, and we were tempted to re-christen it the 'Wye Hilly Walk'. Chepstow - Cows in Meadow at Castleford"
Can anything be done about the title of this image, which to my mind is confusing. The "official line appears to be that the upgraded search tools are too good". However, to my mind, the text of the title contains an inherent confusion: use of two towns' names cannot but be confusing!